In this 9th year of the Community Resilience Challenge, we are humbled by the ways YOU have shown up to build our community more resilient, one act at a time. We have extended registration just a few days into June to give everyone one more opportunity to add your passionate actions to the movement. It’s perfectly okay to complete your actions this summer, as long as you register today by clicking here! Make the commitment and feed your very own vision of a home, work, and community eco-oasis. This is your moment to shine! By registering your actions you are invited to attend our Celebration Party on June 8th from 6-9pm at the Sebastopol Grange! This event is an opportunity for recognition and celebration of all of our individual, organizational, and community accomplishments! There will be potluck style food available, refreshments and libations, live music by The Rivertown Trio, and a wonderful raffle. You can expect an abundance of inspiration, gratitude, and lively individuals at this gathering – you don’t want to miss out! Sign up today by clicking here. 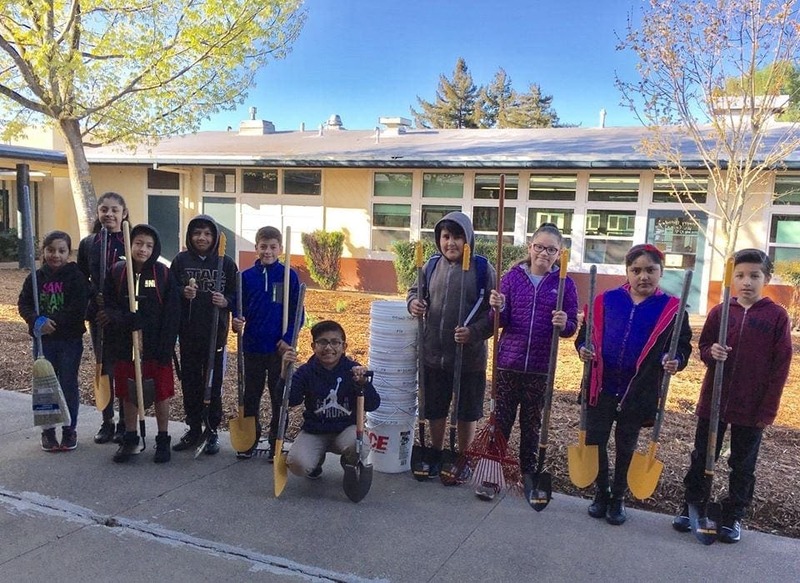 Special thank you to the Sonoma-Marin Saving Water Partnership and Sonoma County Water Agency for your continued sponsorship of this program. Many thanks and much gratitude to the donors of our raffle items and food: Community Market, Harmony Farm Supply, Blue Barrel Systems, Rock the Bike and Terra Vesco! 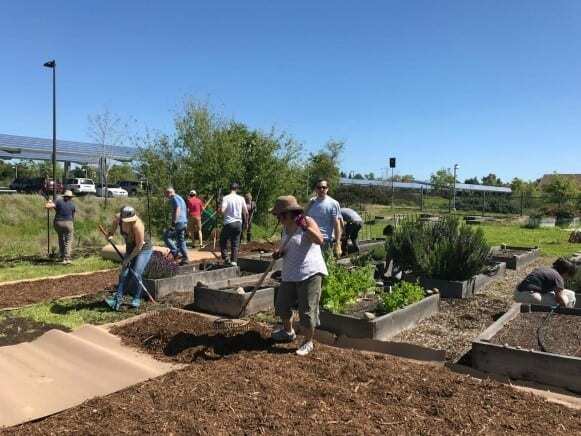 On Friday April 20th, 65 volunteers from Navitas Organics, Guayaki, and World Centric joined forces at the Santa Rosa Junior College to complete a garden re-vitalization for the Community Resilience Challenge, and for team building time! 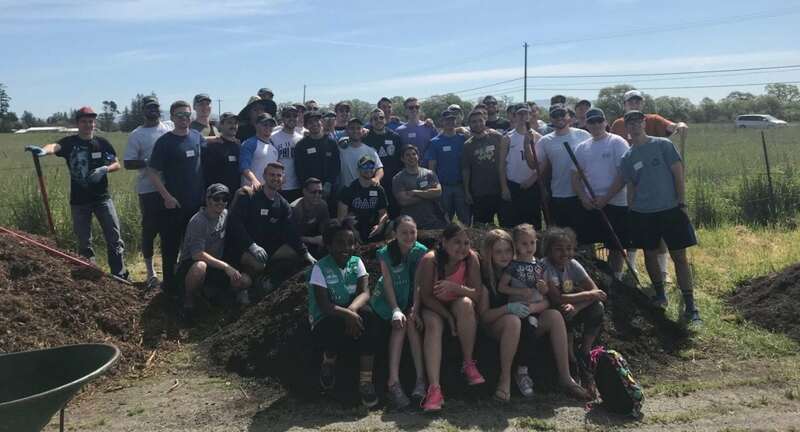 Volunteers helped to weed, sheet mulch, paint signs and install a variety of habitat providing, pollinator attracting and edible plants to the 6,000 square foot site. These efforts will help to conserve over 500,000 gallons of water annually! The vibrant and abundant garden is cared for by the students and our reliable partners and professors at the campus. 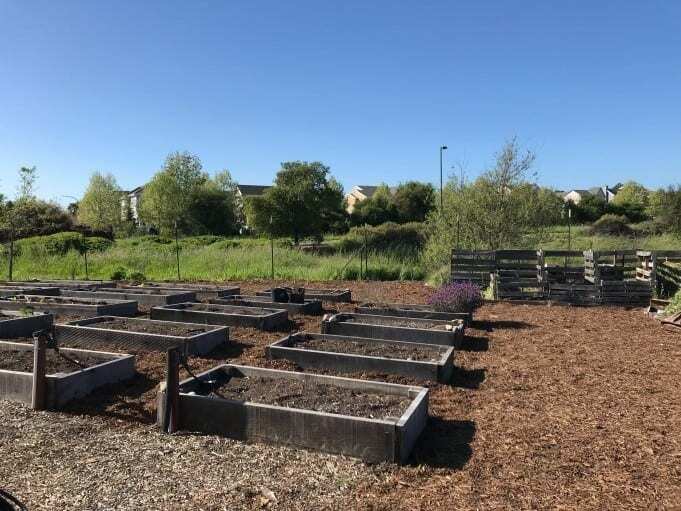 On April 22nd 53 volunteers, 40 of which were Sonoma State students, rallied together for an Earth Day and CRC project at the Sebastopol Grange! Last year, Daily Acts supported a similar event at the Grange for the initial sheet mulching, planting and irrigation of the site; the volunteer support and response to the installation was so positive that we felt another workday was in order! 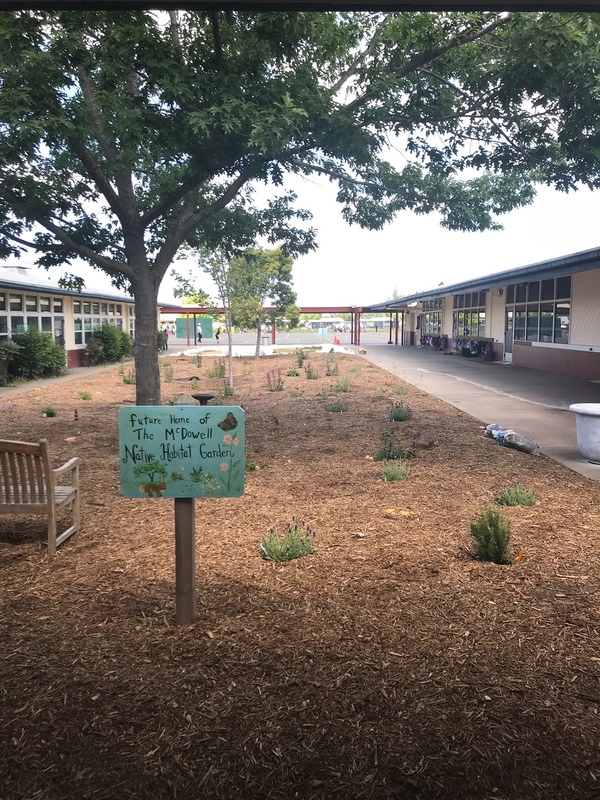 This time, volunteers focused on the front sections of the building, where they sheet mulched, laid a boarder, built a bench, and planted vibrant, native and water-wise plants. Overflow activities included weeding, pruning, and bringing over material to the kids zone. To celebrate our accomplishing day, everyone gathered for a potluck lunch inside the hall where we were able to relax over nourishing local food. The Grange is a hub for events and community building, so swing by sometime to see what they have going on and to take a peek at the vibrant landscape! 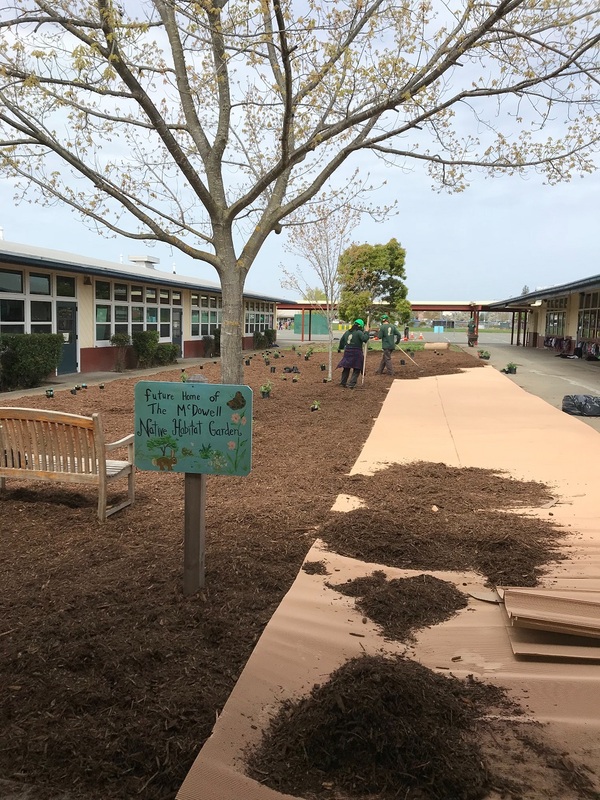 Over the course of two weeks, Daily Acts partnered with corps members from Conservation Corps North Bay (CCNB) to sheet mulch, plant, and install irrigation at a 3,815sq ft. space at McDowell Elementary School. With the school mascot being a monarch butterfly, pollinator attracting and habitat providing plants were emphasized at this site. 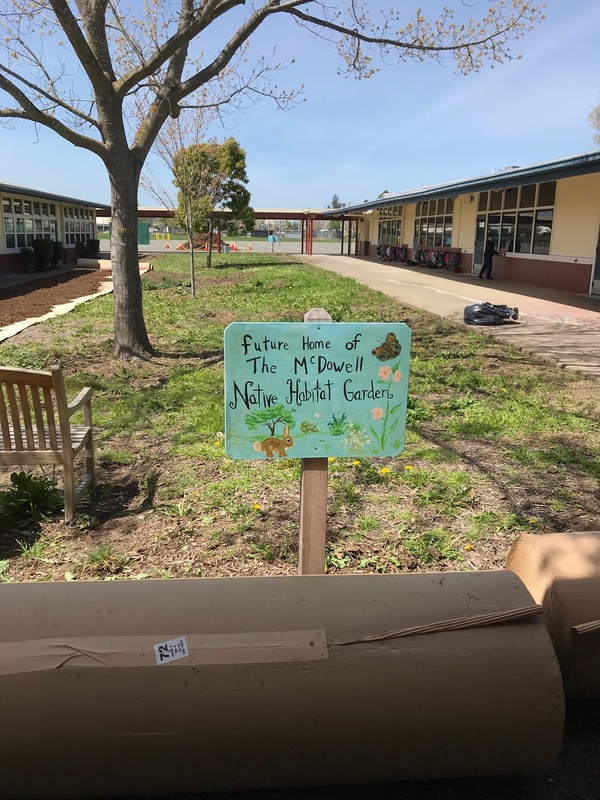 Students were introduced to the concept of the garden and plants in a school assembly, and curriculum around tending to the garden, insect identification and water conservation is being established for the following school year. For now, classes are taking turns weeding the garden and documenting the amount of growth for particular plants. A portion of this site is being solarized over the summer months in an effort to eliminate Bermuda grass. This means there will be an opportunity for another transformation at McDowell next year! Our daily acts create and shape our healthy world, and because every choice matters there is no time like the present to take part, take heart, take action. We hope you will register your actions for the Community Resilience Challenge today, join the movement and come to the party!